Home > Notions and Neat Stuff! 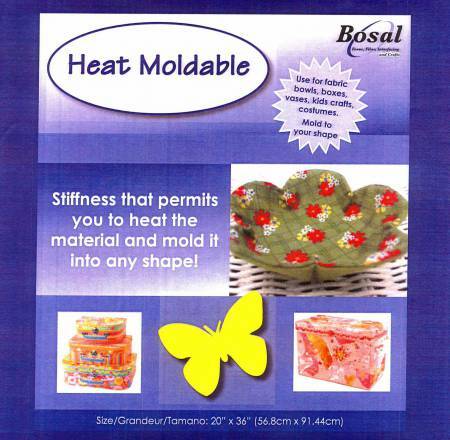 > Bosal Heat Moldable Stabilizer 20" x 36"
Bosal Heat Moldable Stabilizer 20" x 36"
A stiff "sew in" stabilizer that is heat-moldable, and non-woven. Great for hats, costumes, ribbons, boxes, handbags, and more. Use lowest setting on iron to soften (15 to 20 seconds). A hair dryer or heat gun may also be used to soften this product. Need more than we have in stock? Contact us to order as many as you need!